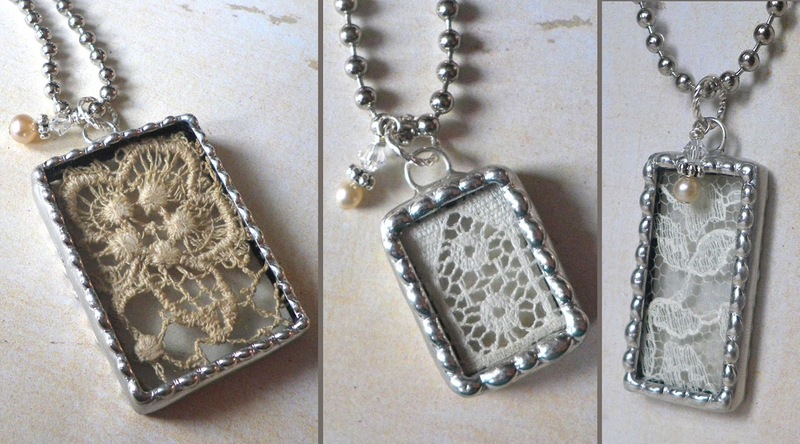 Laurie, whose blog is Indulge Your Shelf, was the first place winner, and she chose charm #3, the white Venice lace. She wrote the nicest post about the all the little gifts she received, and you can read about it HERE. Laurie loves vintage textiles and buttons, and lots of other crafts, and takes such great photos. She is a doll, and someday, I'm going to meet up with her at a workshop or an art retreat...I hope! 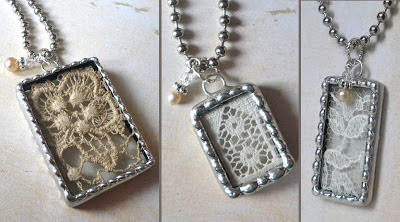 The second place winner was Tanya, whose blog is Bead and Needle. 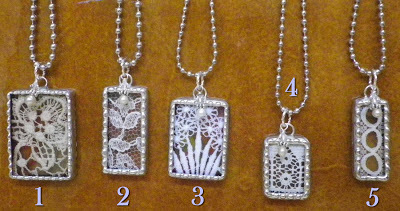 She chose charm #5, the vintage French Beading Lace. She also wrote a sweet post about her win, HERE, and I have grown to LOVE that girl through many subsequent emails back and forth! 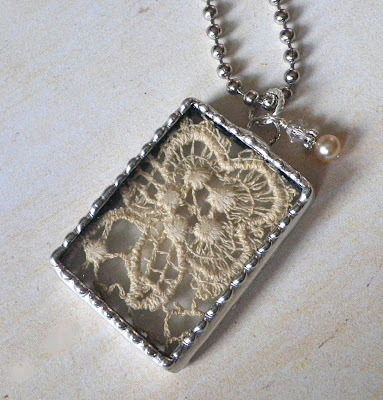 She blogs about travel, music, needlework projects, making jewelry, and also loves antique buttons, like Laurie. Tanya also 'shared the love' and sent ME some wonderful treats, which I hope to post about later. To quote Tanya, she ROCKS!! Besides connecting with these two darling people, the 'Grow Your Blog' party was such a fun way to get to know lots more of you out there who are kindred spirits. I am just so tickled to have met you, and even more honored that you've become followers of my little blog! oh those lucky lady's...I love your lace jewelry! For those of you dropping by here, and seeing the remaining charms (along with all the rest of Maggie's loveliness), THESE ROCK!!! The craftsmanship is impeccable - you REALLY ought to own one of your own (now, THAT's a shameless plug)! But seriously - this will prove to be one of my favorite pieces for years to come...it already is - SO sweet! i need to hire you to be my agent, Tanya!! Your work is lovely! And I know those two lucky ladies will enjoy their wins for years to come. I feel lucky all over again! I just purchased the one in the top photo. Yeah, MEEEEEEEEEEEEEEEEEEEEEEEEEEE! Hi Maggie, I love these and your blog! So happy you found me and now I found you! Love the solder work! But your angel paintings are soooo beautiful! Can't wait to see more goodies on your blog, I will be reading!